Stone said he thought his “entire communication” with “Guccifer 2.0” “was on twitter for the world to see.” The “brief exchange was public,” Stone contended. The 64-year-old Stone, who revels in his reputation as a dirty trickster, added he was unsure that the “Guccifer 2.0” on Twitter “is really him.” With the exception of “Guccifer 2.0” replying to one Stone tweet and directing a second tweet at the Republican operative, their Twitter accounts reflect no public back-and-forth communication. This is not the first time that Stone has been connected to a suspected Russian cutout. He tweeted about Wikileaks a lot during the election, demonstrating possible advance knowledge about John “Podesta’s time in the barrel” a couple months before his e-mails were leaked by Wikileaks every day during the run up to the election in October. Or his vague prediction that may or may not have come true: Wednesday@HillaryClinton is done. #Wikileaks (Stone was suspended from Twitter so the links to those tweets are no longer available, but here are the remnants of one in my piece examining Russian influence in Trump’s campaign from October 2016). I have some news for Hillary and Democrats—I think I’ve got the real culprit. It doesn’t seem to be the Russians that hacked the DNC, but instead a hacker who goes by the name of Guccifer 2.0. At best, Roger Stone was being unwittingly manipulated by Russian military intelligence. At worst, he was consciously aiding an operation to deflect blame off the Kremlin and on to a surrogate covertly backed by the Kremlin. This is real bad news for Roger Stone, and if you’re looking for an explanation for Sam Nunberg’s blitz across cable news to separate his “father figure,” Roger Stone, from the Russia investigation, this is likely it based off of what we know right now. 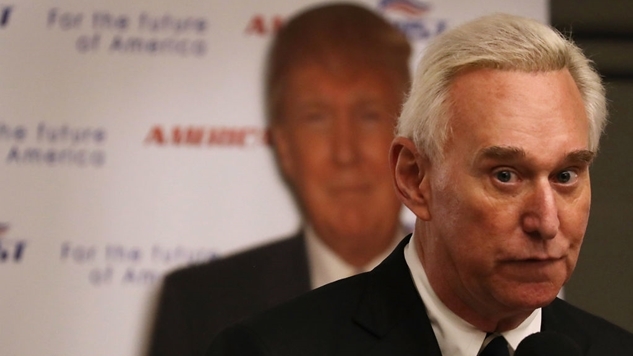 Roger Stone was communicating with Russian military intelligence during the 2016 election and the special counsel tasked to investigate Russian influence in the 2016 election has subpoenaed Sam Nunberg’s communications with Roger Stone. No wonder Nunberg was so spooked.